Discussion in 'General Airgun Chat' started by Jamesy, Feb 6, 2012. 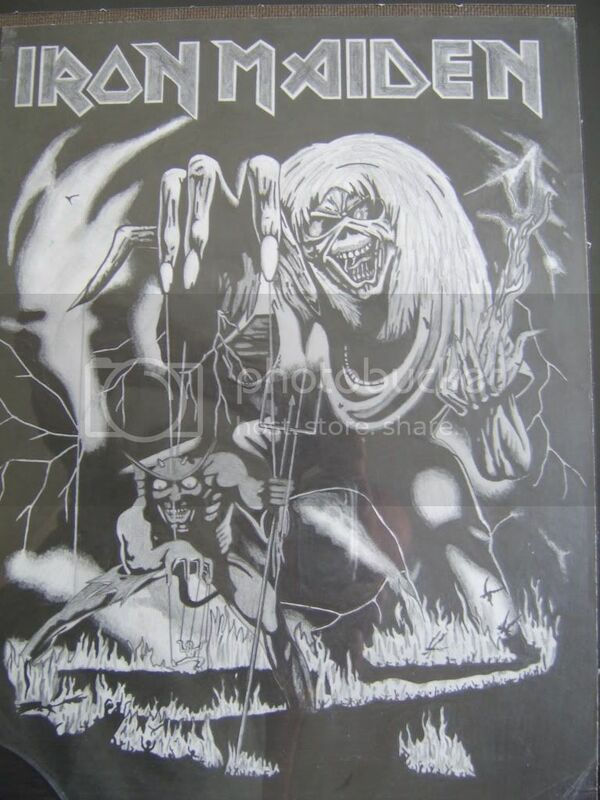 This is one i drew for my eldest nephew when he was about 14, he's married with kids now. Well actually the one i did for him was finished and he still has it in a frame, this is another i did to keep myself which i have never finished. As you can see i can only copy from a picture, stuff drawn from memory looks like a four year old's effort. 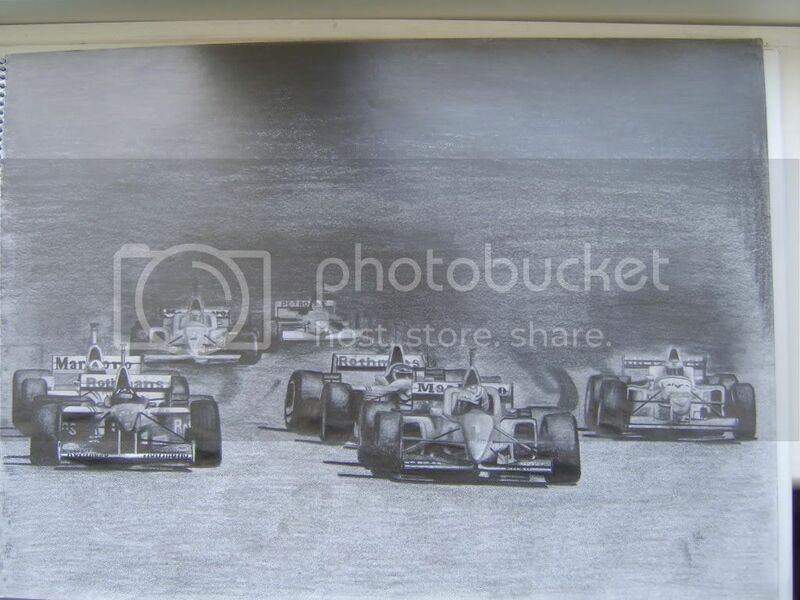 Wow mate very nice, loving the 3rd pic of the F1 cars. Blinking heck man, that's some talent you've got there, very nice. Thanks, you should see what a mate of mine can do, makes my stuff look like a scribble... when he moved in with his then girlfriend he did a couple of drawings for her, one of Fish from Marillion and the other of David bowie, they look like photographs! Nice. Do they let you have crayons anymore? I know exactly what you mean, i'm the same, that's why i have tremendous respect for those like your son who can. The next time i visit my friend i'll take the camera and get some pics of his work. I can't remember now Rob, i think it may have been the year after Damon won the world title and he got to pick the number himself or it might have been his fathers number at one time... maybe another member with a longer/better memory than mine will know? 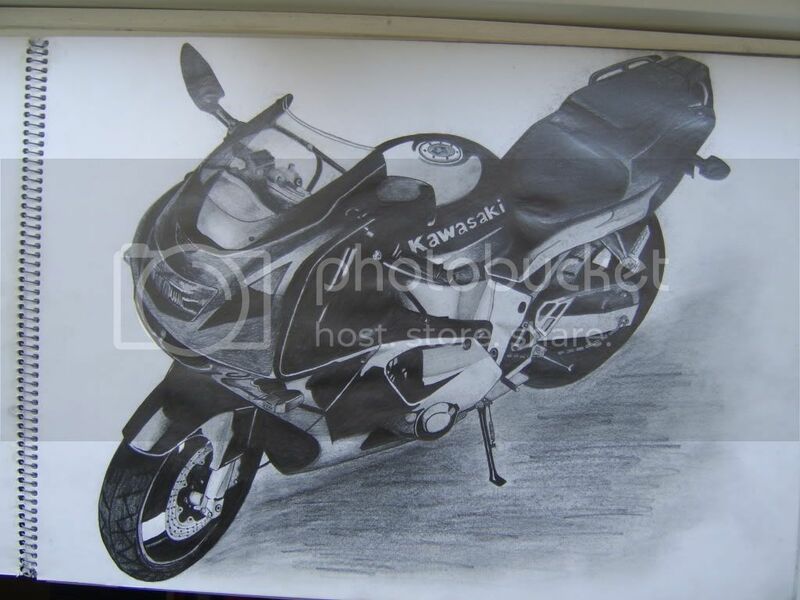 Ive always liked pencil drawing's for some reason, dabbled abit myself when i was (alot) younger but i was nowhere near this good, both you and your mate have a talent. Because he missed the target all completely. Because the previous seasons championship was won by Alain Prost and he parted company with Williams. 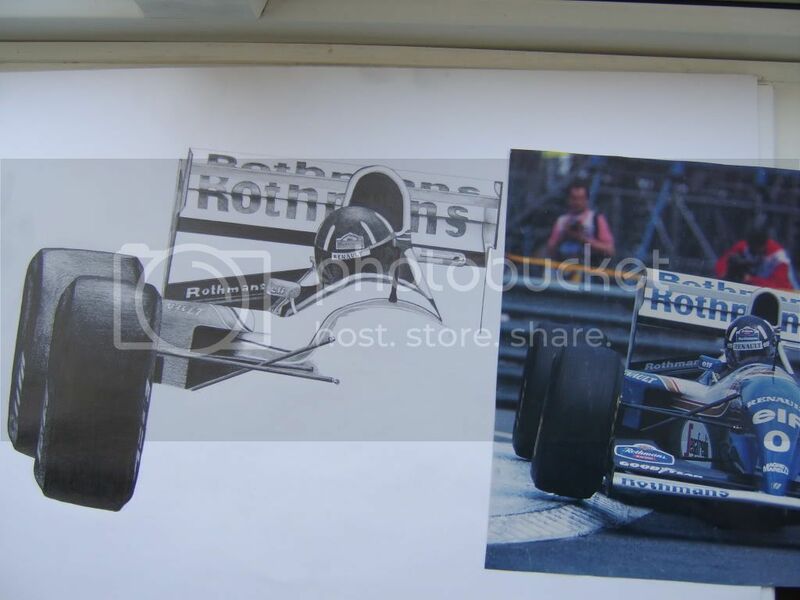 Damon was the the test driver at the time and won his seat in the race team but could not take the number one owned by Prost, thus he had to take the number 0 instead. Couple of differing reasons there but both seem to suggest that it was due to Damon taking a place from a former champ. So it was his first year of competing in F1 not later as i thought. This one is from wikipedia. When Mansell's team-mate Riccardo Patrese left Williams to drive for Benetton in 1993, Hill was unexpectedly promoted to the race team alongside triple world champion Alain Prost ahead of more experienced candidates such as Martin Brundle and Mika HÃ¤kkinen. Traditionally, the reigning driver's world champion carries the number '1' on his car and his team-mate takes the number '2'. Because Mansell, the 1992 champion, was not racing in Formula One in 1993, his Williams team were given numbers '0' and '2'. As the junior partner to Prost, Hill took '0', the second man in Formula One history to do so, after Jody Scheckter . I just thought it was to match most of the writing on your scorecard Paul!!! Hey that's unfair! I haven't missed since last time! very good drawing. How long does each one take you to finish?